In last week’s blog entry on adding focus to your images with Bokeh, I showed you how you can use Alien Skin Software’s Bokeh plugin for Photoshop to draw attention to the subject of your photos by adding and adjusting out-of-focus areas of an image to enhance the subject matter. 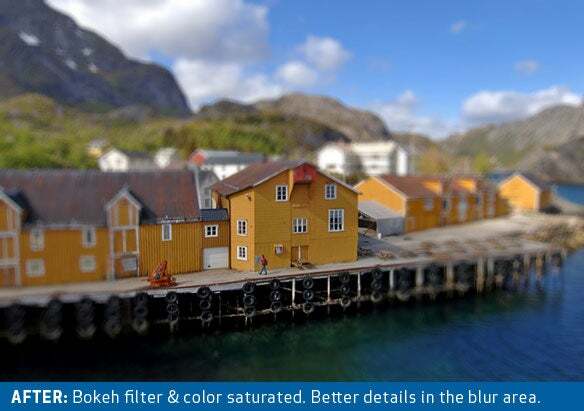 Another unique feature of the Bokeh plugin is the ability to simulate tilt-shift photography on an existing image. 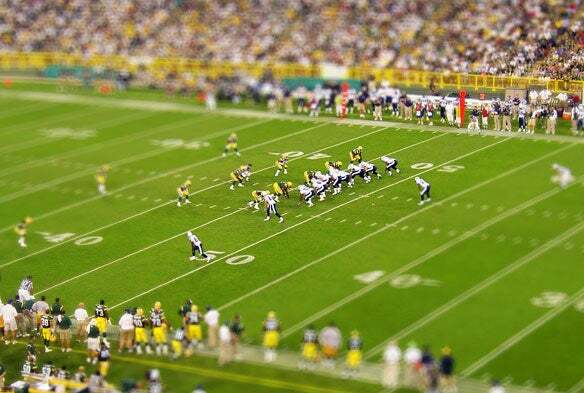 Tilt-shift photography simulates the effect of turning your subject matter into a miniature model. You produce the effect through special camera lenses that adjust the image plane via camera movements when taking the photo. You can see some fantastic examples of tilt-shift photography on Flickr. As with the lenses that give the previously covered bokeh effect, tilt-shift lenses are rather expensive, and require you to carry them around and fuss with swapping out lenses when shooting. But there are ways to simulate tilt-shift photography without the expense and hassle of carrying these lenses around with you, allowing you to apply the effect after the photo has already been taken. TiltShift Maker is a site that allows you to upload your photo and apply a tilt-shift effect to the image. However, you’re limited to a horizontal plane for your focus area, and only a bit of control over the focus area, but little beyond that. You could also try creating the effect by hand in Photoshop, following the tutorial available here, but it does require a lot of work, and doesn’t really allow you to experiment along the way. Plus, using Photoshop’s lens and gaussian blur filters just doesn’t produce the same stunning effect as Alien Skin’s Bokeh plugin. In the images below, I’ve applied the manual method, and the Bokeh filter to the same image, with the same selected area. As you can see, the results are quite different. What isn’t apparent is the amount of time it took to get the first “after” image as compared to the second one. In this particular example, I spent about 10 minutes adjusting selections and blur amounts to get the image as close as the Bokeh filter image, which only took a few seconds. Of course the amount of time you save with the Bokeh filter increases with the amount of tinkering you want to do with the effect. Alien Skin’s Bokeh plugin definitely hits the sweet-spot here, allowing you to use the selection tools, blur sliders, and preview window to fine-tune your adjustments in a matter of seconds to achieve the perfect tilt-shift effect. Whether you choose Bokeh’s simple-to-use radial or planar selection to achieve the miniature model effect, boost the highlights, or add a vignette to your image, the results always look best using a photo shot from a point above and away from the subject. You’ll also want to boost the color saturation of the image when you’re done to further the model effect, as I have in the image below. Bokeh is obviously a great tool for professional photographers and designers, allowing them to focus on shooting, rather than swapping-out lenses. However, hobbyists with point-and-shoot cameras that lack the flexibility and control needed to produce these types of images can also benefit from Bokeh. A copy of Photoshop isn’t necessary, as the plugin also works with Adobe Photoshop Elements 4.0.1 or later or Fireworks CS4. The $199 Alien Skin Bokeh runs on Mac OS X 10.4.11 or later on a G5 or Intel processor Mac. 2GB of RAM is highly recommended.